The City of Laoag - "Laoag" (Ilocano for "light or clarity"), is a 1st class city in the province of Ilocos Norte, Philippines. It is the capital city of Ilocos Norte, and the province's political, commercial, and industrial hub. A two hour bus ride from Vigan City, Ilocos Sur. Welcoming you to the city of Laoag is its magnificent highway where you can see LAOAG spelled at a distance replicated from HOLLYWOOD. It stood loud and proud on top of the hill that would represent how people take pride to stay and live in Laoag City. It’s a museum where you can find the corpse of the late Pres Ferdinand Marcos but it was closed when we get there. So we move to out next stop which was the Marcos Photo Gallery. The Paoay Church (also known as the St. Augustine Church ) is a historical church located in the town of Paoay in Ilocos Norte, Philippines. Known as the “Earthquake Baroque” church in the Philippines, Paoay church was built of baked bricks, coral rocks, salbot (tree sap) and lumber, and has 24 carved massive buttresses for support. It is an architectural solution to the area's challenging, natural setting. Both sides of the nave are lined with the most voluminous stone buttresses seen around the islands. Large coral stones were used for the lower level while bricks were used for the upper levels of the church. The walls are 1.67 meters thick made of the same materials. Its bell tower, which is detached from its main building, is made of coral stone. It stands a safe distance away to spare the sanctuary in case of collapse. Paoay Church is part of the UNESCO World Heritage List. It currently is a property of the Diocese of Laoag, Ilocos Norte. To cite the characteristics and traits of its people, Paoayenos (called the people of Paoay) are by nature industrious, thrifty, intrepid, daring, individualistic, peace-loving, adventurous, hospitable, and religious people. PAOAY LAKE NATIONAL PARK The landlocked lake located 3 kilometers away from the sea in Suba, Paoay has an area of 470 hectares. Declared as a National Park under Republic Act 5631 on June 21, 1969, its environs has been turned into a sports complex including a world-class golf course. I was able to drop by and take a look at the sand dunes area but I wasn’t able to explore the fun.. that’s one thing that I need to do when I get the chance to go back to Laoag. A desert in the tropics? Such is the geology and topography of Ilocos Norte -- a curious mix of plains and valleys, wild coasts and surreal rock formations, uplands, waterfalls and a desert. The Paoay Sand Dunes is part of the 52-square mile Ilocos Sand Dunes, a protected landscape (or should it be desertscape?) and if I may say, a rather beautiful anomaly that is recognized as one of the National Geological Monuments by the National Committee on Geological Sciences (NCGS). The Ilocos Norte Sand Dunes, as a whole, stretches from Currimao to Pasuquin. To put it poetically, it is the symphony of the wind, sea and river that created the sand dunes over eons. The only 5 star deluxe hotel in northern Luzon is the Fort Ilocandia Resort and Hotel. St. Williams Cathedral and its sinking Bell Tower, the city market, and the Malacañang of the North located as well in Paoay. 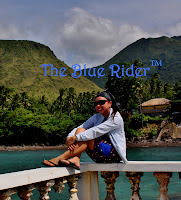 You can tour Laoag City in 2 hours and your done… off to Pagudpod for a nature bond..